Listed below are some of our favorite funny books. Please comment on your favorites, and remember to leave your email address as a means of contact for the giveaway. 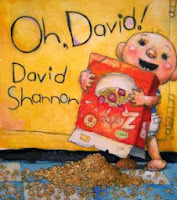 David is always getting into trouble, yet he is still so endearing. No matter what kind of trouble David finds himself in, his mommy always loves him. My kids LOVE these books, and they are available in English and Spanish. Oh, David! is their favorite. 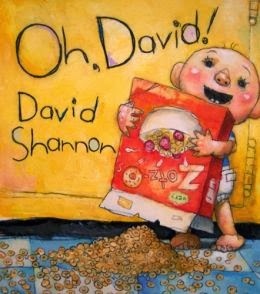 From the time my boys were little bitty, they would giggle and giggle at the page where David's diaper poofs up. I also highly recommend Good Boy, Fergus! (¡Muy bien, Fergus!) and Duck on a Bike (Pato en bicicleta), also by David Shannon. Oh no! The cows have decided that the barn is too cold, and they would like some electric blankets to keep warm. When Farmer Brown refuses to indulge the cows, they engage in tough negotiations with Duck as the mediator. The delightful illustrations in Click, Clack, Moo add to the hilarious storyline. Doreen Cronin does an excellent job of introducing young children to tough vocabulary words, such as ultimatum and neutral, in a way they can understand. 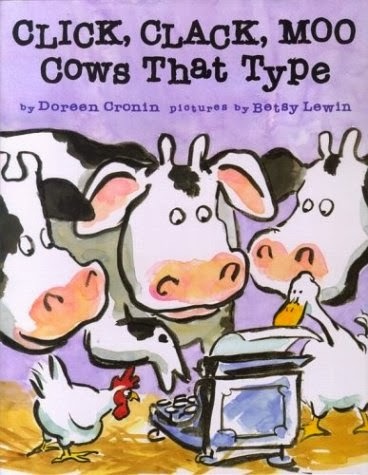 Other funny books by Cronin include: Duck for President, Diary of a Fly, Diary of Spider, Diary of a Worm, and Dooby, Dooby, Moo. 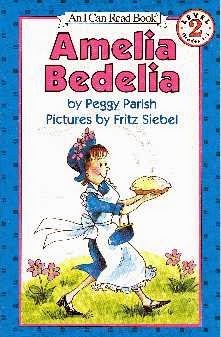 Amelia Bedelia is a maid who takes everything very literally, which gets her into all kinds of funny situations. The Amelia Bedelia books are a great way to introduce kids to figures of speech, which are beyond comprehension for Amelia Bedelia. 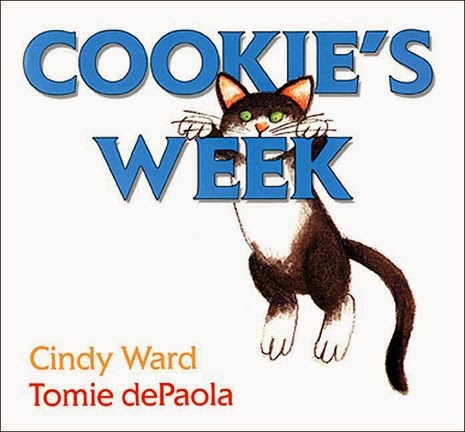 Children crack up when Amelia sprinkles dust on the furniture because her employers asked her to "dust" the furniture, or when she makes a date cake by cutting up a calendar and baking it into a cake. Cookie gets into a different mess each day of the week. With minimal text on each page, the illustrations tell all about the trouble Cookie creates. 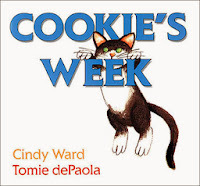 Available in English and Spanish, Cookie's Week is great for introducing children to the days of the week. My kids delight in seeing all of Cookie's messes. Amelia Bedelia is a favorite I remember as a kid! Thanks for the giveaway! We love the Scaredy Squirrel series by Melanie Watts and the Pigeon books from Mo Willems. Actually ANYTHING by Mo Willems! And Skippyjohn Jones, and Diary of a Spider/Worm/Fly, and I could go on and on!